As the world’s largest technology manufacturers increasingly move toward creating products that are designed to be difficult or impossible to repair, Motherboard blog has started looking toward the margins of tech to find the people keeping older machines alive and running. 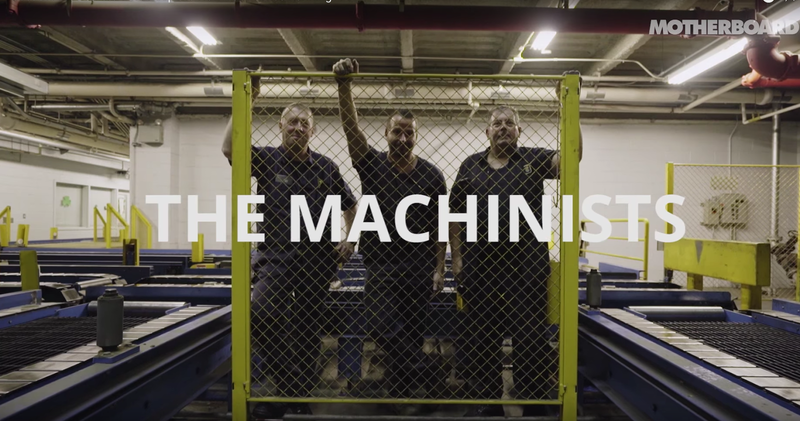 In the first episode of State of Repair, Motherboard blog visited the New York Times printing plant to meet (above: left to right): Jerry Greaney (31 years at NYT); Greg Zerafa (20) and Chris Bedetto (33), who are part of a dying breed of machinists that keeps the newspaper's eight three-story printing presses humming and spitting out hundreds of thousands of newspapers every single day. Published on Dec 6, 2016. Since 2009, Motherboard travels the world to uncover the tech and science stories that define what's coming next for this quickly-evolving planet of ours.